Want to try out Jelly Bean's stock keyboard on your Ice Cream Sandwich device? No problem at all. While sharing the same appearance with it's predecessor, the Jelly Bean Keyboard prediction engine has been improved and certainly excels over the ICS one. Thanks to a developer going by the handle of Beansoft, this new prediction filled keyboard has now been ported for use on ICS devices running 4.0.3 and above. Simply known as Jelly Bean Keyboard, the early alpha build is out there in the Google Play Store now. As this is an early build, plenty of bugs are likely, but for the most part some users seem to be enjoying reasonable success. Currently known limitations surround languages, in that full next word prediction and auto correction is only currently supported for English. Additionally, only English, German, French, Spanish, Portugese (Brazil) and Russian is supported at this time. The user dictionary also doesn't work on ICS, and trying will push it into a force close. To use once installed, don't forget to head into the "Language and Input" settings menu, and select Jelly Bean Keyboard as your default input. After a disappointing spin-off of the Persona series, Persona 4 The Animation stays in its true form by sticking very closely to the game of the same name. What it achieves is ultimate fan service and an enjoyable action-packed anime. Persona: Trinity Soul was a disappointing spin-off of the Persona series. The story lacked any real explanations and there was very little action to be enjoyed. Hence, I was rather hesitant at whether I would enjoy Persona 4 or not. 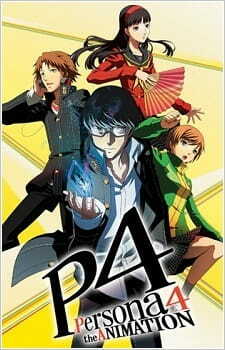 Thankfully, Persona 4 is not similar to Persona: Trinity Soul in any way except in name. Anyhow, on to the story of Persona 4. I did not play the game so I cannot say if the anime sticks true to the game, but many reviewers have mentioned that the anime does contain many similarities to its game counterpart. Even watching the anime made me feel like I am watching a game being played out. So anyway, the story is about Narukumi stumbling across the mysterious "Midnight Channel" and its relations to serial murder killing that has been happening in town. He accidentally discovers another world by phasing into television as a gateway to enter this world. Thus, he saves Chie, Yokuse and many other friends resulting in a bonding of friendship that will help them solve this mass murder case. The anime contained plenty of action and mysterious events. Persona 4 starts off with an explosive start and subtly tones down the action halfway for a bit of comic relief and fan service. After episode 12, there were quite a few side-stories and comic relief episodes that didn't really fit the overall theme, but I glad that they actually put the effort to develop the characters even further for these episodes. However, I was glad that the final few episodes sped things along and gave us the action and adventure that we were anticipating for. The art was simply amazing. Much like Trinity Soul, Persona 4 had beautiful backgrounds and sceneries, highly detailed characters, awesomely presented Personas, and fluid battle animations. It was a well presented package from start to finish. There was plenty of lighting effects, explosions, shadowing, texturing and many visually appealing effects. The theme songs were rather catchy and suited the anime really well. For some reason, the music from both Trinity Soul and Persona 4 was quite catchy indeed. Moving along, voice acting was perfect on every way. I noticed many well known voice actors were used in the anime which made the anime perfect indeed. They really represented their characters really well and I had no complaints in expressions and dialogue. Speaking of characters, I liked Narukumi and his personality. He is more of the "cool" type, rather expressionless and mainly calm most of the time. It was interesting to see his character develop each episode as we are given a "status" review during the episodes. It shows his character in a personality triangle diagram. As for the other characters, they were pretty varied with their unique personalties and Personas. I found that this cast of characters are way better than the ones in Trinity Soul. Overall, I enjoyed the anime very much. It was fast, action-packed, intriguing, and mysterious. This has been one of the better anime that features sci-fi, mystery, action, and super powers into one that is simple to comprehend the story in a way that is enjoyable to watch. Would I recommend this anime? Definitely! If you are into anime such as Chaos;Head, Angel Beats!, Bakemonogatari you might find this anime interesting to watch. Although there are no clear similarities between the aforementioned anime, but the style of character development, relationships, and mysteries are quite subtly familiar. Persona 4 The Animation was fun to watch. Quite entertaining and fast-paced that is expected for this kind of anime. There were a few side-stories, but nothing too boring with the comic relief! Some questions are still left unanswered but hopefully will be in the true ending (coming soon). Simple stunning once again. The battle were fierce and the world design was just clearly detailed and full of life. Theme songs were quite catchy and voice acting was perfect. A variety of background and ambient music was used throughout the anime which was a nice addition to the already catchy theme songs. Quite a lot of interesting and unique characters here. Nothing felt generic about them and their personalties were enjoyable to watch. I loved the mystery and the action. I guess I didn't expect much from the anime, but it gave me a more than I ask for. Fun to watch! I got totally captivated in the story and the characters. I wished the ending could have been a bit longer and explained some minor details but I expect them to be answered in the upcoming true ending episode release.